These handcrafted seat covers are made just like the originals. Designed with the correct madrid grain vinyls with elk grain inserts. The elk grain inserts are finished with distinctive vertical pleats for an award winning interior. These seat covers are made to fit, last, and impress the most discriminating. 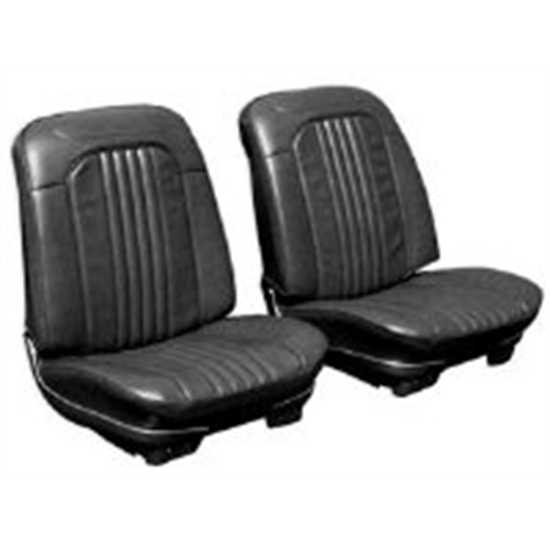 Bucket seats sold in Pairs.